On September 12 at 4:27pm ET, the moon is full in the intuitive and sensitive sign of Pisces. This is usually a very optimistic and humanitarian influence that encourages well-being and dealings with children and nature. When the moon is in Pisces, people are extra psychic and intuitive; many people have more vivid dreams than usual. The full moon in Pisces also has a way of encouraging us to stroll by the water or just yearn to be in the forest or parkland. It is an ideal time to take a long walk in nature. The full moon in Pisces time also means that it is time to spend quality time with children or pets. The full moon in Pisces brings good times on the 10th, 11th, and 12th. It strays in Pisces by 9:45pm on the twelfth and continues to cause havoc with our intuitions and emotions until 2:49am in the morning on Tuesday. Those two days will feel like they are sodden with bitterness and pessimism for many that day. However, this effect is temporary and the result of thinking that is emotional rather than rational. Here is a look at how this full moon in Pisces might affect each of the signs. You will be fascinated with antiques or works of art. You may find just the perfect accent for your décor. However, from the 12th to the 14th, you might find yourself always losing the thing you just had in your hand a second ago. Don’t worry; you are not losing your mind! It is the planets! You may find yourself experiencing a series of very lucky coincidences. Many of them will have to do with a special relationship that you have that really flourishes over this weekend. Dreams that seem significant may actually have no meaning on the 13th and 14th. Do not take yourself or others too seriously on Monday. You will have the perfect knack for finding just the right things you need to decorate your home and make it into a really nice nest for the winter. Feelings of loneliness are temporary and are not a sign of depression on the thirteenth and fourteenth. Be sure you follow all of the basic safety rules, especially near water. Your creativity will be greatly stimulated by this full moon in Pisces, which makes you especially empathic and almost psychic. Watch out for a third person who may be trying to create a triangle out of your relationship on the thirteenth and fourteenth. You may find yourself praying for a miracle when it comes to a health or psychological matter and, by Saturday night, you will probably have your wish come true. Be good to yourself on the 13th and 14th when you might be feeling a bit out of sorts. Sunday is ideal for spending time with you cultivating a special hobby or spending quality time with a special pet. Matters to do with the heart will be at the forefront of your mind. You may be considering getting back with an ex but a wakeup call on Saturday night (the 14th) will put things back into their true perspective. Stick with people who are practical and good for you if you want to thrive this fall. Do not be controlling of a pet or child who just won’t obey your older. On the days leading up to the Pisces full moon luck is going to be with you. This is a good time for you to trust your hunches and follow your intuition, especially when it comes to being led to love. Saturday is likely to bring a cash windfall. However, watch out for jealousy and misunderstandings on Saturday night and Sunday. The full moon will make you extra psychic. Pay attention to your dreams because there is a real message for you in them. You might also acquire a new pet or make friends with a child at this time. Be very careful on the 13th and 14th as you will be more accident prone than usual. Be sure to follow all safety rules, especially near water. Explore and follow your heart’s desire, especially if you are thinking of travelling. These are also excellent day on which to start writing a book; especially if it is a memoir. On the 13th, beware of getting too involved with an argumentative stranger. You could get a new pet or news that a child is on the way. Short day trips to an ocean or lake are also favored at this time. On the 13th, you must be very careful not to let what you want for somebody to interfere with their own plans. They are in charge of what happens in his or her life and not you. It is particularly important for you to not be too controlling of a child at this time. 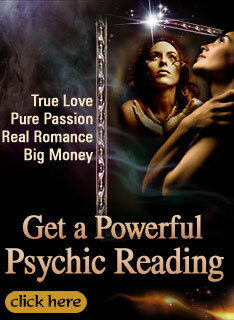 These are the best days all year for you to consider seeking the advice of a psychic. Your dreams are very prophetic as well. On the 13th, there is a danger that you will take yourself too seriously or see yourself as too self-important. Be sure to keep humble in all situations or you might be cut down to size. Someone who appears to be a rival might actually be trying to be of assistance to you. You will feel like the world is your oyster. Everything will seem to go your way. A romance or cherished dream will unfold exactly how you want it to on the twelfth. However, expect a little objection to your state of bliss when the moon strays in your sign from the 12th to the 14th as someone feels you have exploited them to get where you are.